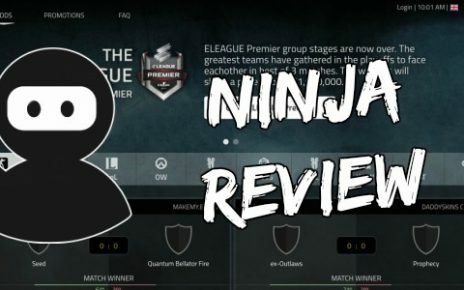 Pinnacle Esports Review - The Most Legit Sportsbook? 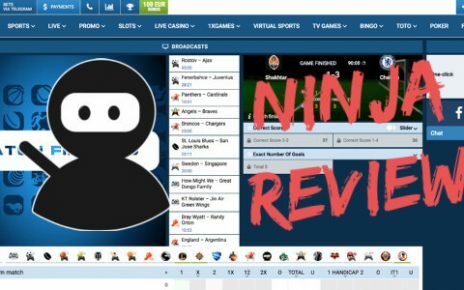 Pinnacle Esports Review – The Most Legit Sportsbook? This is one of the few websites that have different web pages for people with and without accounts. If you don’t have one, you can easily register through the “open account’ tab in the top right of the service. When you don’t have an account, they show you loads of different things, such as betting advice and articles, they use them to make more people use their site. However, this all changes when you make an account. Once you have logged in, they only show you the basics such as the betting odds as well as the other gambling forms. The site also offers different options so that you can customize it to your likings. Such as: Language, the way odds are shown as well as the display of the webpage. Unlike other services, Pinnacle displays a live twitter feed of all the messages they make on the side of the platform, which help you keep track of new offers. Along with a variety of educational videos about betting including: gambling help, recommendations, and interviews with esports punters. Pinnacle esports has one of the best reputations out there for a sportsbook. The company was founded in 1998, so it has been around for a very long time which would lead you to think that they are legitimate. Ratings for the service are also great, with people giving them 4.5 – 5 stars which is unlike most other bookies, so it is clearly one of the safest gambling sites. It is licensed in the Curacao islands, along with a lot of other services. There are also multiple reviews saying how bad the website is, however, most of them don’t provide any evidence so you can’t really trust them. It is definitely one of the best places to bet on esports in terms of safety. The company has even hosted a dota 2 tournament, which just shows how big and trustworthy they are. Pinnacle esports is one of the few sportsbooks that actually don’t offer any kind of offers to members. This is pretty bad as a lot of people go onto new gambling sites for these bonuses. However, they do have a page dedicated to telling you why you should join the site. They provide many incentives such as: they don’t restrict or ban successful players, they are well known all over the world, by more than 200 countries and they provide fast and friendly support. However, the odds make up for that. Pinnacle esports offers pushes it ahead of most other bookies. It offers odds that are uncomparable to other websites, and a lot of sites base their rates off this service, but they make the odds worse so that they earn more money. That really sets pinnacle apart from your ordinary CSGO gambling platform. Their odds are a couple of percent higher than your average service, which may not seem like a lot at the beginning, but it soon adds up if you place bets quite often. As soon as you make an account and confirm it from your email, the website prompts you with an offer to deposit directly into the balance. It may seem like a forward approach, but for others, it might be easier to quickly deposit money and then place a quick bet. The platform allows for deposits via multiple different methods such as: Visa, Skrill and Paysafecard. However, the company does not allow people to deposit with Paypal, for reasons such as the chargeback scam. Also, the bookie does not allow the depositing of in-game skins or items such as CSGO gun skins. Pinnacle is mainly centered around sports and esports betting, although, it also includes some other gambling formats. Those are: casino and live casino. The casino involves: slots, video poker, card games and so on. And the live casino includes things such as baccarat, blackjack, roulette, etc. 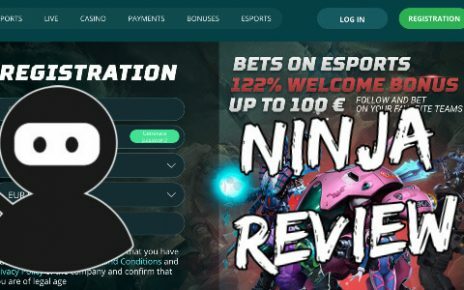 When it comes to esports betting, the website offers: CSGO, Dota 2, LoL, Heroes of the Storm, Starcraft 2 and Starcraft BroodWar. It is unfortunate that they do not include wagering Overwatch, but hopefully, this game will be added soon. The site also includes a whole section about help, rules, and bets offered. This section also includes a page where you can contact support if you have any issues or questions. But if your question is quite ordinary and someone has probably asked it before, then there is a place where you can view frequently asked questions. The support team works 24 hours, 7 days a week. The contact section also provides an email address that can be used to inquire about job openings. Additionally, there is an address of the Pinnacle headquarters provided if you want to send them a mail instead of a standard email. When it comes to whether they actually respond or not, there is no telling. There are absolutely no websites out there that include a review of their customer service. This probably isn’t a bad thing though, as someone would definitely have complained if something was wrong. The service is, without a doubt, mobile friendly. To put it simply, the website literally has a button called “mobile”. It is one of the tabs located at the top of the page, near the sports betting and casino tabs. This is a feature that is extremely practical and there are basically no other bookies that offer it. The mobile version of the platform is extremely easy to navigate around and would definitely not be an impairment for anyone on a mobile device. In conclusion, Pinnacle is one of the best out there for esports betting and gambling. Although they may not offer bets on some games such as Overwatch, it is made up for by their odds on other games being so good. Add that to a website with a great design and a 24/7 customer support team and you have a winning combination. The mobile version is also very easy to use. So any mobile users won’t have a problem. The only downside here is the lack of any bonuses, this may be a deal breaker for some, but for most, it isn’t a big deal. Thank you guys for reading this review, see you next time! Good luck!